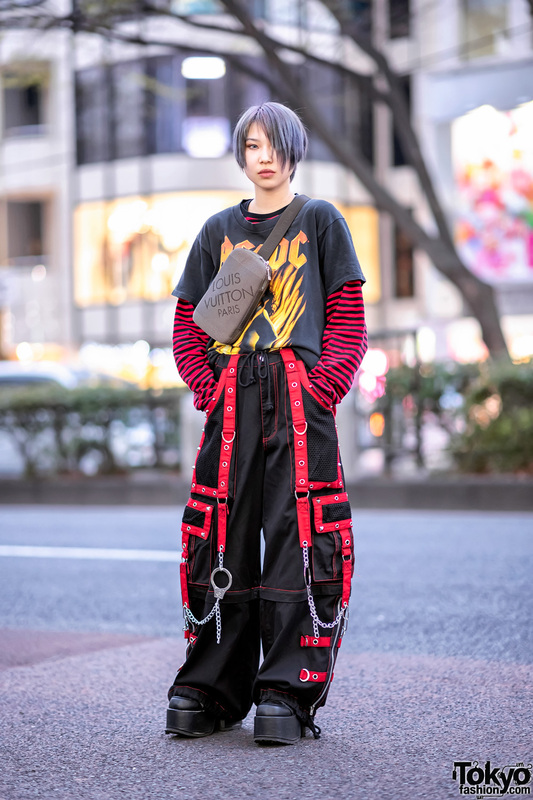 We came across 16-year-old Rintato on the Harajuku street one afternoon. He easily caught our eye with his striking ensemble. 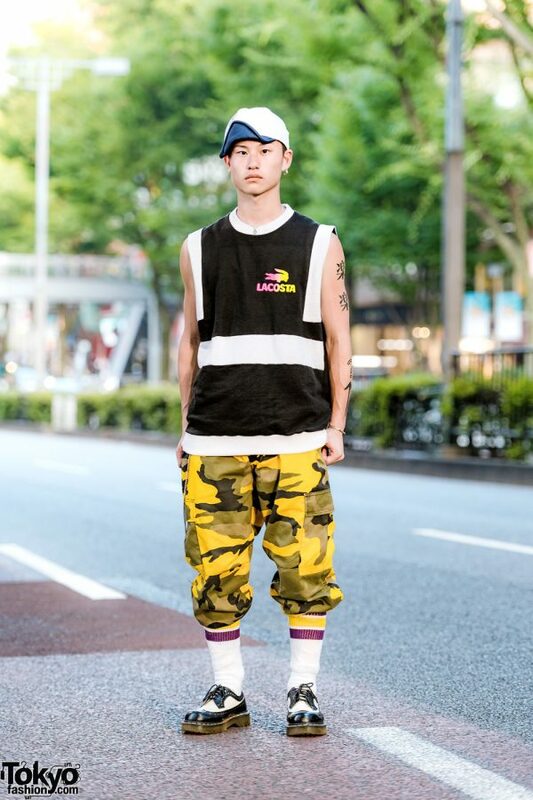 Rintato stepped out wearing a black-and-white sleeveless Lacosta shirt from San To Nibun No Ichi, paired with yellow camouflage print pants from Rothco. 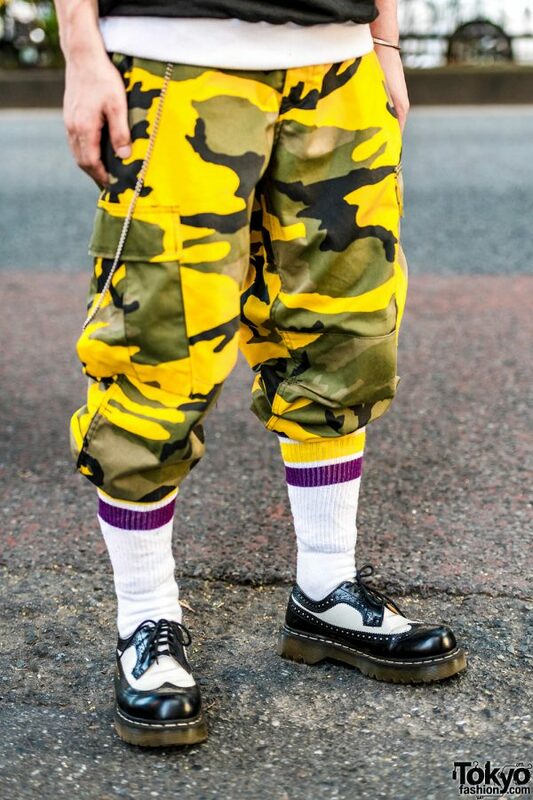 He tucked his pants into white tall socks with purple-and-yellow stripes, and slipped into Dr. Martens monochrome creepers. 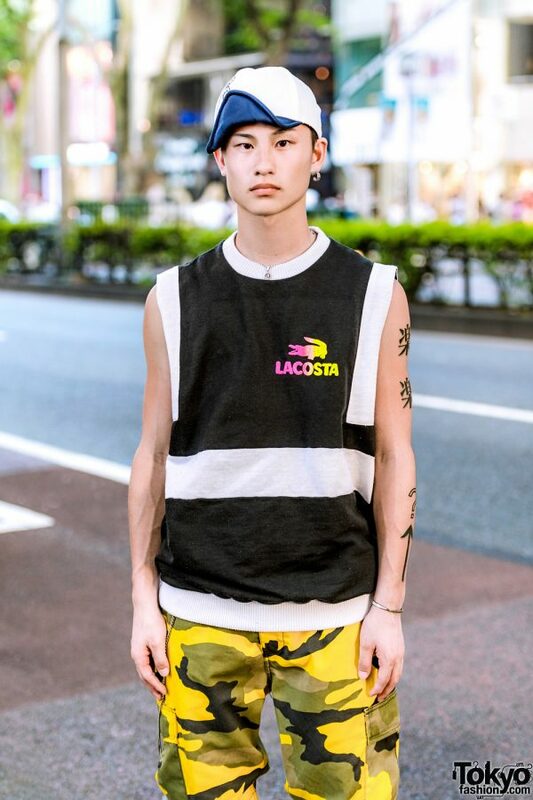 Rintato accessorized his look with a blue-and-white cap, a single hoop earring, a silver pendant necklace, a silver bangle, and silver chain accessory. 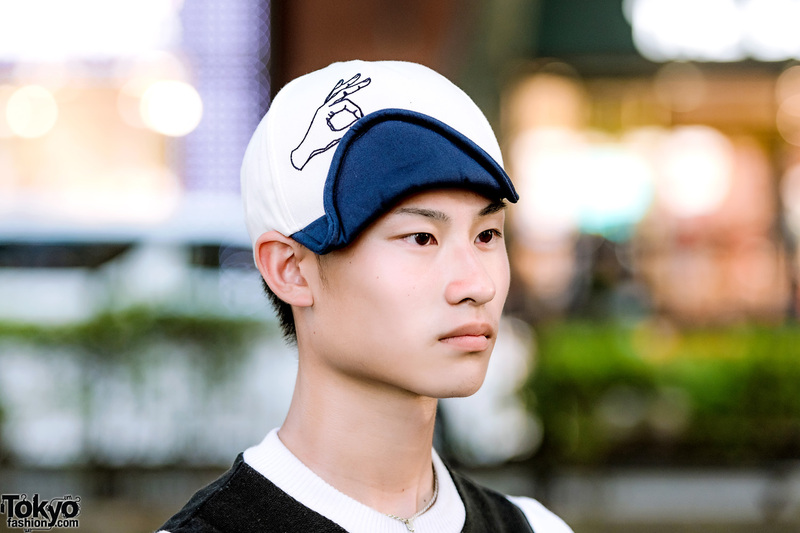 San To Nibun No Ichi is Rintato’s favorite fashion brand, and he likes listening to The Blue Hearts. Follow Rintato on Twitter and Instagram.